If you feel you missed out on dressing up as a child, well don't despair - it's never too late! This princess costume has a fairy-tale-like quality. 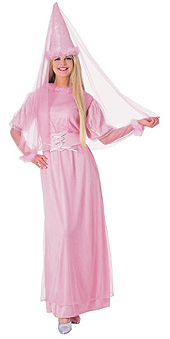 It comes complete with feather trimmed hat with veil, under dress, feather trimmed over dress and lace-up belt.